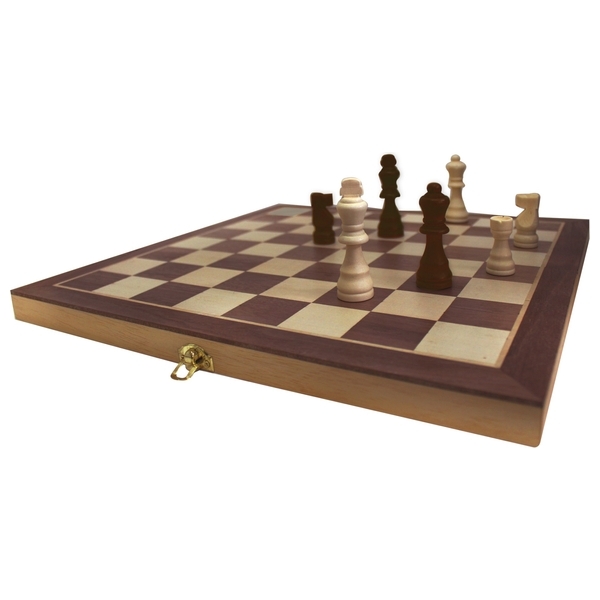 This premium classic hand crafted wooden Chess, Draughts and Backgammon set has been made with the finest materials available. Play Chess & Draughts on the top of the open game board and Backgammon on the bottom. The bottom of the game board also acts as a storage compartment for all of the solid wood playing pieces.